Blogging is not for the faint of heart. This is known. To have to come up with new and creative ways of being interesting and insightful on a nearly daily basis while also also maintaining whatever job/love life/family commitments/friend commitments/sanity you are trying to hold on to at the same time is a challenge at best and a nightmare at worst. Why? 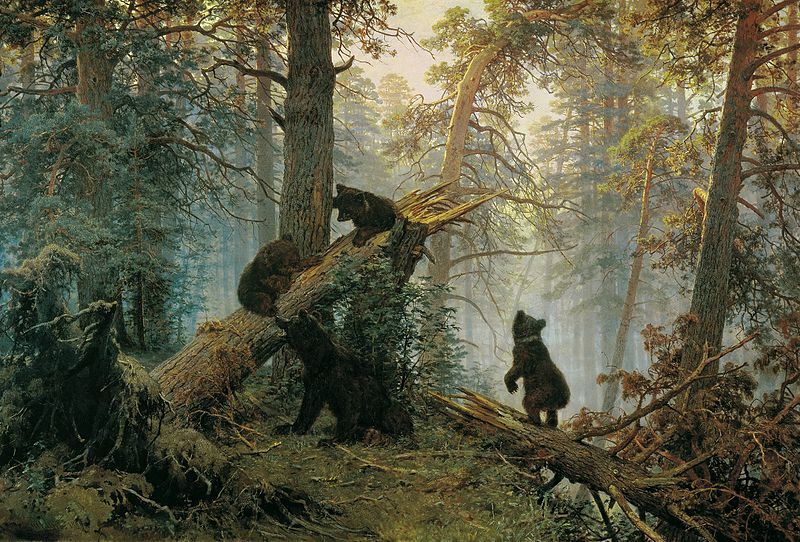 Because it’s a beautiful painting by an under recognized Russian painter (two, actually, if Wikipedia is to be believed), and it’s got cute bears in it darn it. Do. Not. Resist. The Bears. Irresistable indeed. Thanks for showing great art I wouldn’t have found myself.